The most anticipated flagship by the OnePlus family, or rather the next 'Flagship Killer,' the OnePlus 5, is finally launched worldwide with thousands of people witnessing the same over a web stream on the brand's social media channels. 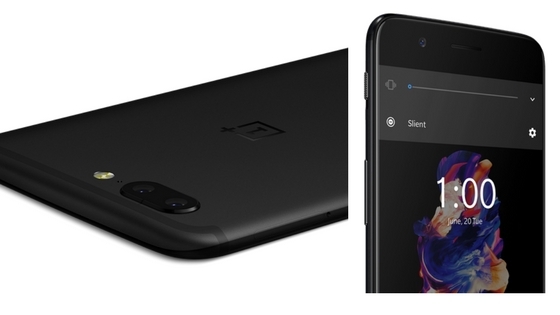 After all the endless leaks and rumors surrounding this device, we now finally have the official specifications and features the OnePlus 5 boasts. Read on to find more. The OnePlus 5 features a 5.5-inch Full HD (1920x1080) AMOLED display with 2.5D Corning Gorilla Glass 5 protecting it. 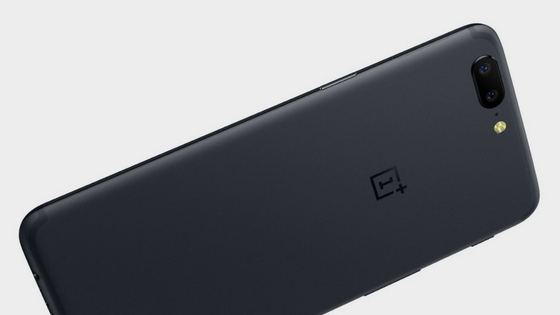 It is also the thinnest phone that OnePlus has ever made till date! The smartphone sports an octa-core Qualcomm Snapdragon 835 chipset with the availability of either 6 or 8 GB RAM along with 64 or 128 GB internal storage options. There is no memory card slot available. It is also the first OnePlus phone to feature a dual-lens camera setup at the rear, or in other words, cameras (plural)! Unlike its other competitors who use the same megapixel on both the lenses, the OnePlus 5 has a combination of 20 MP lens (f/2.6 aperture) and a 16 MP lens (f/1.7 aperture). It also comes with a dual LED flash. On the front, it features a 16 MP lens (f/2.0 aperture). OnePlus 5 comes with a 3,300 mAh battery which supports the proprietary Dash Charge technology. It runs on Android 7.1.1 Nougat, with the OnePlus OxygenOS on the top. There is a ceramic fingerprint sensor embedded in the Home button below the display. It boasts of a quick unlock time of just 0.2 seconds! The device comes with the Bluetooth 5.0 and supports NFC. Even though the device is launched globally, there is a separate launch event in India. It is planned for June 22 at Mumbai. Indian prices will be revealed then. OnePlus 5 India pricing is now confirmed hours before launch.